This is an excellent, MUST-READ, article from Senator John McCain in leading Russian paper Pravda. Check it out! 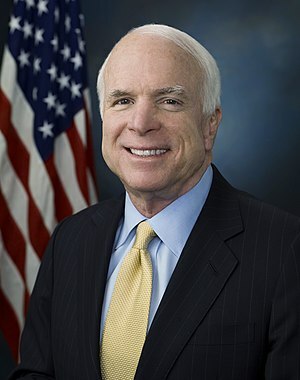 Senator John McCain: Russians deserve better than Putin – English pravda.ru. Personally, I had my doubts about whether McCain in Pravda would be eclipsed by Putin in the NYT. However, I was very pleasantly surprised at the John McCain article. And, given my own political beliefs, I strongly identified with the thrust of John McCain’s argument. But, the clarity and purity of John McCain’s argument contrasts strongly against the muddled arguments of late from US President Barack Obama. Was Senator John McCain’s Pravda article good for individual liberty? The answer to Dr Alf’s question about Senator McCain’s article about Vladimir Putin is a simple one. It was and is good for individual liberty in Russia or anywhere else to have leaders held up to critical scrutiny. John McCain’s arguments about investment are also true and other countries seem to be a lot better at it than Russia when it comes to attracting inward investment and working smoothly with overseas partners. All that said the solution to the Syrian crisis and some of the other flash-points is not intervention and a wider Middle East war as Senator McCain wants but constructive dialogue based on mutual self interest and realpolitik. Secondly, if one looks at our present crop of political leaders, John McCain’s arguments about Russia deserving a better leader could be applied to the ineffectual and dithering President Obama, David Cameron, President Hollande of France, our EU High Representative Baroness Catherine Ashton who does not even answer the telephone after 8.30 pm, Ed Miliband, the Leader of the Opposition, nearly all of Africa’s leaders, 90% of our MPs, Alex Salmond and the Head of the Welsh Assembly. Senator McCain’s critique of President Putin is on the money but it should also give us pause for thought about the quality of our present political leadership across the globe and whether they are up to the job, serve our best interests or are really in control?